Hillary and Bill de Blasio: Racist blunder? Where’s the “Easy” button when Hillary Clinton needs it?! This move by Hillary Clinton could gain Bernie Sanders some traction. And it’s not going to make Bill de Blasio look very good either. 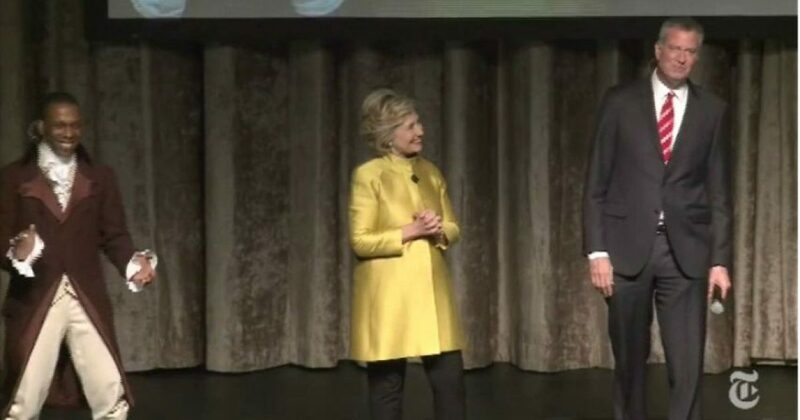 This had to be one of the most stilted attempts at comedy that I have seen, and coming from the Ice Queen Hillary “Dead Broke” Hillary herself, I can’t say that I’m surprised. They actually rehearsed this gag about “CP” time, which stands for “colored people” time. The reference is used by blacks often, when we discuss what time to be somewhere, and is certainly a joke within the black community. But something tells me, Clinton may be doing a mea culpa on this one, and asking for prayers from Al Sharpton, as is likely to cost her.